Some might explain this omission by reminding us that beyond his role as pastor and papa to all Catholics, the pope is a head of state. Advocates of this view may point to the announcement of House Speaker John Boehner, who stated, “Pope Francis will be addressing a Joint Meeting of Congress in his role as Head of State of the Holy See.” From this perspective, the “Vicar of Christ” speaks as a representative of the Vatican, but not as a representative of Christ. Really? I don’t expect the pope to necessarily be Billy Graham, inviting senators and diplomats to come forward in repentance. 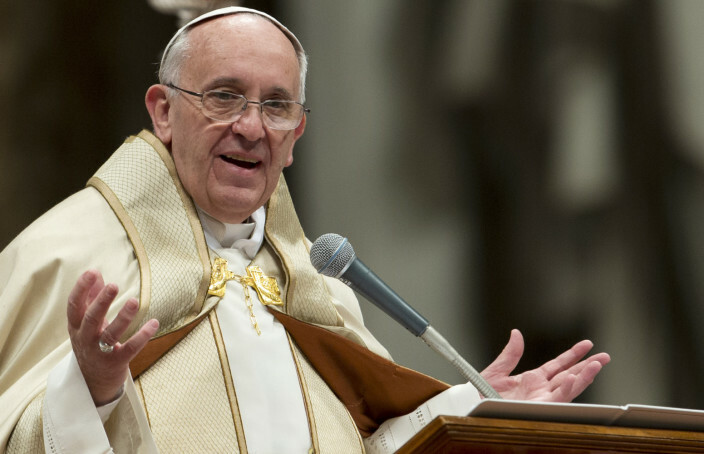 But if Pope Francis identifies himself as the Vicar of Christ (meaning the earthly representative of Christ), having recently published an Apostolic Exhortation titled The Joy of the Gospel, should we not expect him to say something meaningful about the good news? Can you imagine the Apostles appearing before Congress and the United Nations General Assembly without proclaiming the Kingdom of Christ? Inconceivable. Why? Jesus said, “You will be my witnesses.” In other words, gospel proclamation is not a role that can be laid aside; it is central to our Christian identity. And never more so than when God gives us the privilege of speaking to an assembly of world leaders. Nevertheless [witness] always remains insufficient, because even the finest witness will prove ineffective in the long run if it is not explained, justified . . . and made explicit by a clear and unequivocal proclamation of the Lord Jesus. The Good News proclaimed by the witness of life sooner or later has to be proclaimed by the word of life. There is no true evangelization if the name, the teaching, the life, the promises, the kingdom and the mystery of Jesus of Nazareth, the Son of God are not proclaimed (22). Remaining reticent about Jesus and his good news is not an option for the Christian. Jesus said that the light of the gospel is not to be hidden beneath a bowl (Matthew 5:15). And how can people believe, Paul rhetorically asked the Romans, in good news they have not heard? Regarding our collective purpose as men and women in Christ, the fisherman of Galilee wrote, “You are a chosen race, a royal priesthood, a holy nation, a people for his own possession, in order that you may proclaim the excellencies of him who called you out of darkness into his marvelous light” (1 Peter 2:9). The Apostle is unequivocal.In addition to embodying Christ through tangible acts of love, we share the joy of the gospel when we proclaim it. I have to agree that it is terribly unfortunate. He also apparently ducked any reference to the issues American Christians find morally offensive. Great word, Chris… I’m in total agreement. What a huge missed opportunity. Why in the world does not everyone go crazy for the Pope?